Let your guests post their cards and gifts with this stunning post box part of the Vintage Romance range. 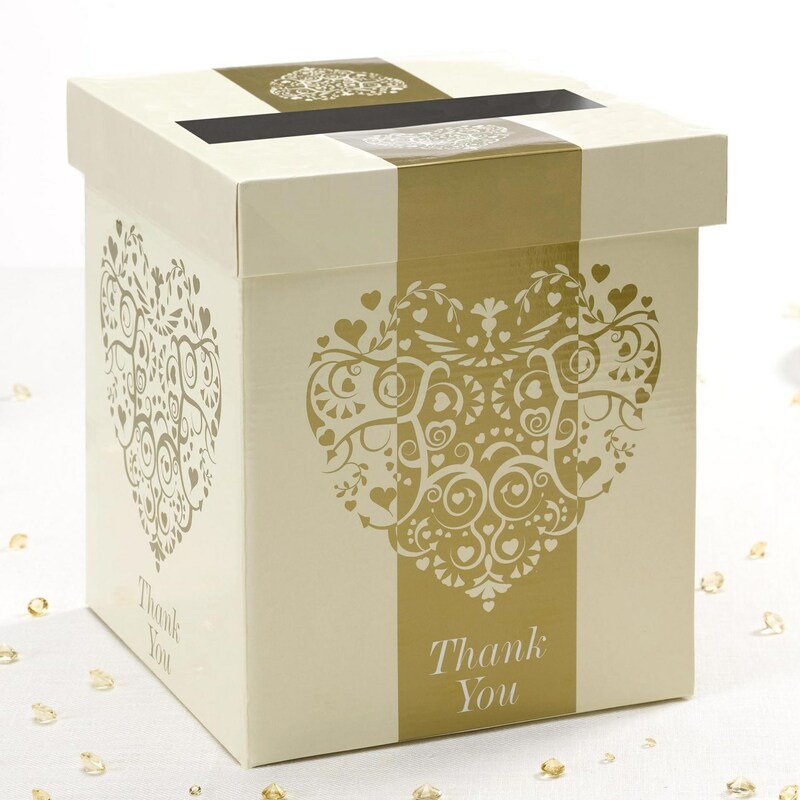 Made from high-quality, durable card, this box features a sophisticated colour palette of ivory and gold, alongside a delicate heart motif. This box can be co-ordinated with other pieces in the Vintage Romance collection and is perfect for Weddings or Anniversaries. Post Box Size: 205x205mm square, height 250mm.